That is superb Mark and as a fellow scratchbuilder I can really appreciate the work that has gone into that. Nice effect. 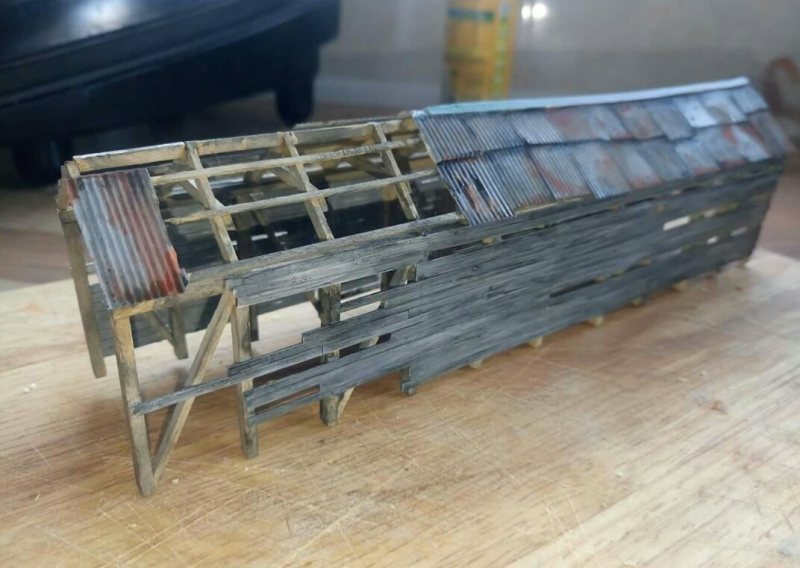 Is it a shed or a barn? Now that's a well ventilated shed Mark. Love it! "Run down"?? Do you work in real estate? Actually, that is a superb piece of work, Steamup. A developer will come along shortly and turn that into 4 executive homes..